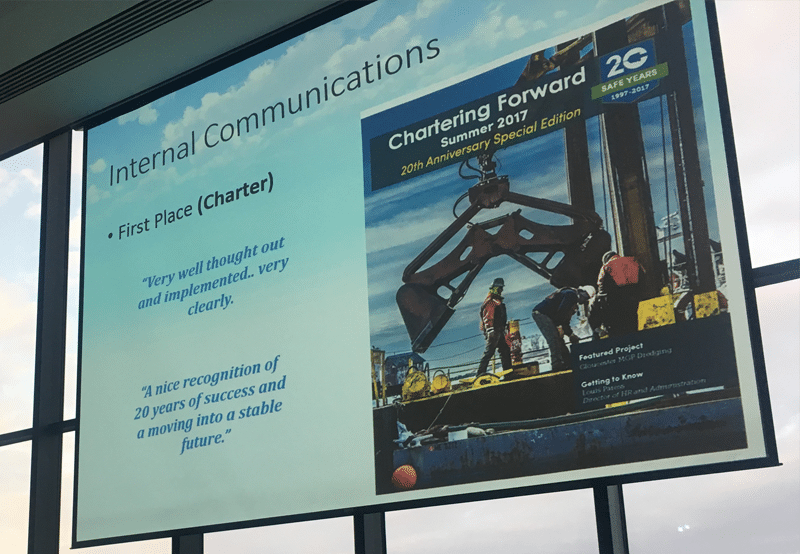 We are thrilled to share the news that Charter received top price in the Internal Communications category for our Chartering Forward Newsletter’s 20th Anniversary Edition at the Boston Society for Marketing Professional Services (SMPS) annual award event! The special edition newsletter highilighted stories from employees sharing their own Charter Stories and what Charter means to them. 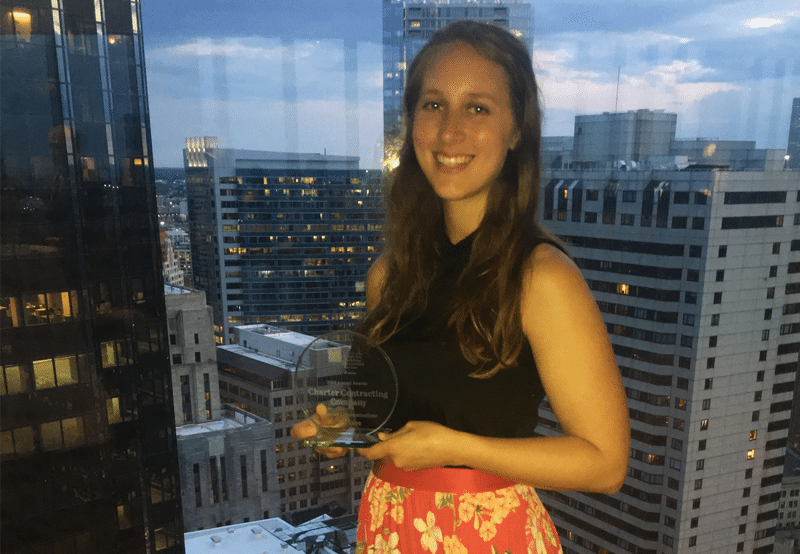 This effort was truly the brain child of Sara Rothschild, Senior Marketing Associate at Charter. We are so proud of her, this honor, and the entire Charter family who made it easy to develop a newsletter paying homage to our 20 years in business.